The city of Edmonton, Alberta, is set to join many others in North America in trying to curb the boom and roar of excessive motorcycle noise. The bylaw targets bikes that exceed 92 decibels at idle and 96 decibels over idle. Fines would be $250 if the law is passed, with repeat offenders facing up to $10,000 charges. 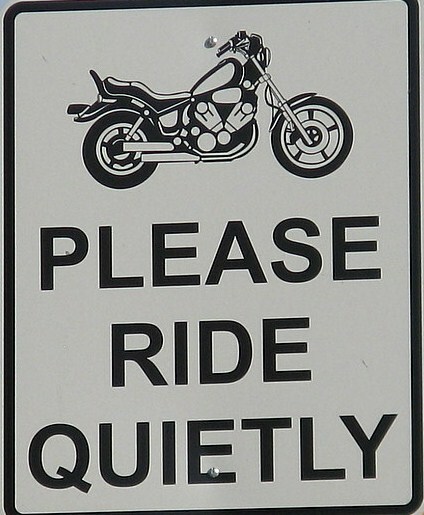 A lot of riders consider noise to be one of their motorcycles’ most important and effective safety features. Bikes aren’t visible enough in a lot of road scenarios, but if an engine could compete with a jet plane on the noise factor, car drivers couldn’t help but be aware of it. And certainly, some loud riders just like the sound, or enjoy forcing people to give them some attention, but mostly it’s a matter of safety. It’s a matter of safety for those who want to regulate it too, however. Hearing damage is often permanent and a lot of these riders don’t realize or don’t believe that they cause it every time they drive by a pedestrian or child playing in a yard. But they do, and while rider safety is important, no safety measure can be made at the price of permanent damage to others. Appreciate it a good deal for that web site. Brilliant.